Hands down it’s going to be far easier to outline 9 things I love than the 10 secrets or more accurately, the 10 random things you probably didn’t know before I wrote yesterday’s blog post. In fact I’d go so far as to say that it’ll be harder to only name 9 things I love that you don’t already know about. I mean it goes without saying that I love my family, shoes, dessert, handstands and burpees so for this blog entry I’ll leave out the things that we already know I adore in order to make this a more thought provoking post (for me) and enlightening one (for you). I love that my kids have grown up with their Grandparents in the same house. Although Isabelle was nearly 2.5 when we all moved in together she doesn’t remember a time where she hasn’t lived with her Nanna and Poppa. Kind of on that note .. I love that I got to experience pregnancy, I loved it, every waddling moment of it (the actual getting the baby out part .. well not so much). 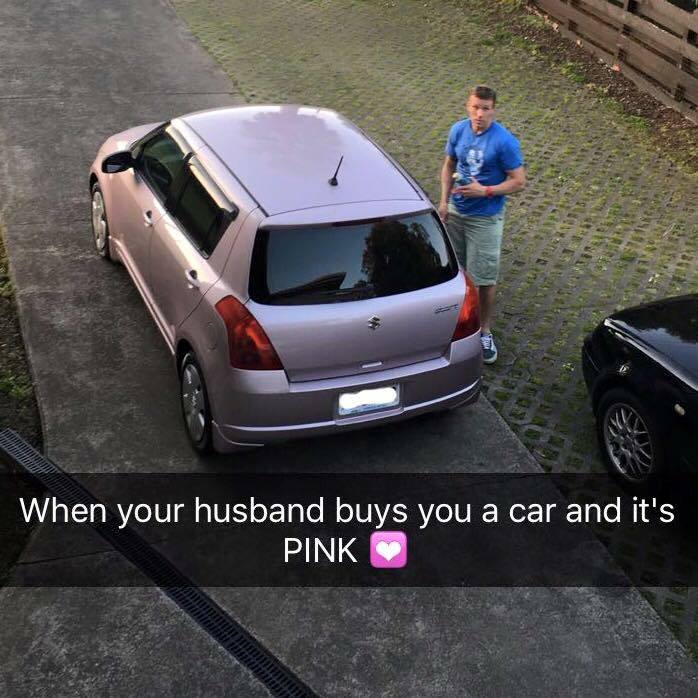 I love the new PINK car that James’ bought for me after the transmission in my previous car went kaput (making it more financially viable to replace the car than repair it). Yes I know he’s my husband so it would usually be “we bought” BUT James used some of his inheritance money so in this case he bought it. I love the fact that we are in the a position where we are able to do things like replace a car when so many other families are having a hard time just putting a roof over their heads .. I know full well that we are one of the lucky ones. I love my job – like seriously .. I love being able .. I was going to say fit, but I wouldn’t necessarily call myself fit, so I love being able enough to attempt anything that “looks fun” .. I truly love my life – all of it! The kids are at that cool “old enough to take anywhere without too much hassle, but young enough to still happily be taken anywhere by their parents” age and we all (Me, J, the kidlets and my parents) are finally living in a large warm house that doesn’t flood every time it rains.